By becoming a Friend of Magic Me you will be supporting our work in Tower Hamlets, an area with the highest rates of pensioner and child poverty in England. You’ll also be helping us grow to reach communities beyond east London. You can help make a real difference in the lives of younger and older people. 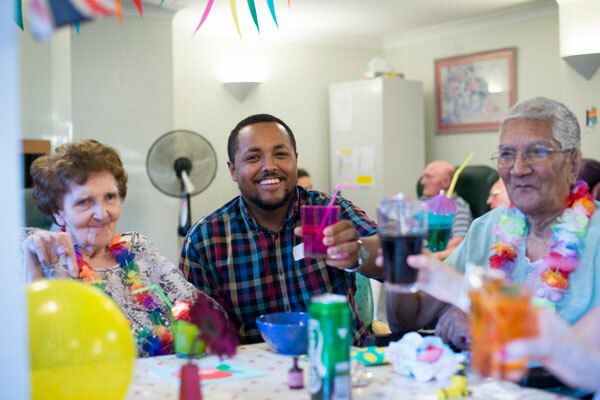 Through our intergenerational projects older people living alone, or in care homes, gain a new sense of purpose and grow connections with their local community – increasing their well-being. Children and young people gain new skills and social confidence. Working together, people of both generations find, or rediscover, their talents and a new status as collaborators and citizens. sign up to give a monthly donation to support Magic Me’s work in east London and beyond. help Magic Me plan ahead, with a regular, reliable income. want to be part of what we do, keeping in touch with our participants’ achievements and our future programmes. Current donors give from £5 to £200 a month. However large or small, your monthly donation will make a real difference. A great feeling, knowing you are helping younger and older people. A special quarterly Friends newsletter, with reports on the difference your donations are making. Invitations to exhibitions, performances or other project events. Magic Me have given me more than I can possibly describe in just a few words. To give a little is my way of saying thank you for caring and valuing me. Your donation is precious and we will spend it wisely. Each year we need to cover the costs of running a full programme of arts activities, parties and events, serving thousands of people. this includes obvious costs like arts materials and taxis to support disabled older people to participate and more hidden ones, like insurance and the phone bill. We also need to invest in behind the scenes work that makes our programme possible and of the highest quality: planning meetings with our partner care homes and schools, training for our artists and volunteers. Rest assured we make every pound work hard. If you are unable to commit to a regular donation but still want to donate to Magic Me, have you thought about fundraising for us? Photo Credit: Cocktails in Care Homes by Paul Williams for People’s Postcode Lottery.